"Listen to Living It up Saturday at 1pm ct on http://www.blogtalkradio.com/mstra-thatgem !" Diamonds and Gents yesterday on Wendy Williams Hot Topics she went a little to far with thangs. Ok so this is what happen. So Wendy brings up Evelyn Lozada and refers to her unborn son and hubby 2 be as a cash register. 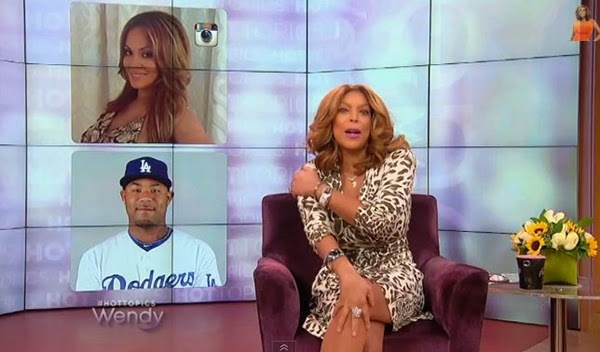 Then Wendy goes in on her new ball player husband to be. She says he wouldn't be able to pull a woman in the likes of Evelyn, if he wasn't worth $142 mil. Since u want me 2 open Dulce n LA. Maybe ur man can come 2 that store & purchase shoes 4 another woman like he did @ my Miami store. Bloop! Oh…BTW…he purchased the Casadei suede over the knee boots triple platform just in case you wanted to know. "#DontComeForMe #INeverBotherU. What do you think? Did Wendy go to far or nah? Comment down below. Oh…BTW…he purchased the Casadei suede over the knee boots triple platform just in case you wanted to know. #DontComeForMe #INeverBotherU.